Located in the heart of Times Square, this famous eatery shares the bustle and flash of its surroundings. Diners of all ages chatter and dine among famous Hollywood and Broadway memorabilia in an energetic and exciting atmosphere. 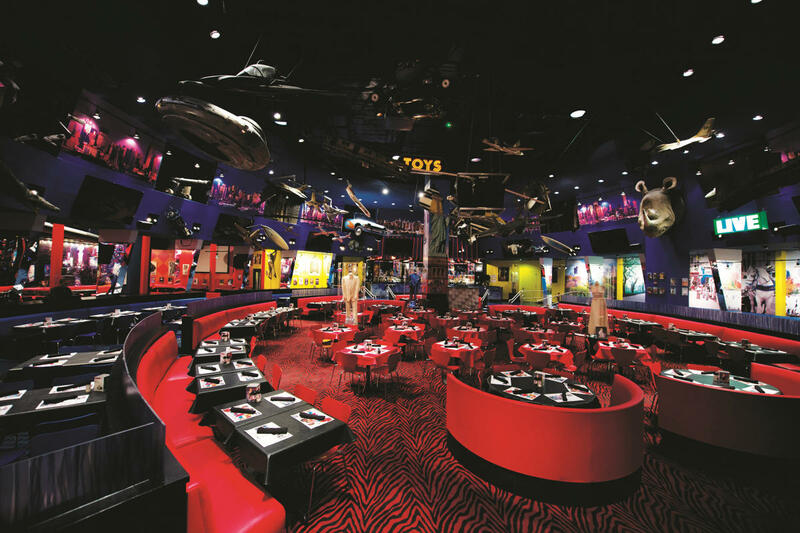 Planet Hollywood offers everything you could want for a star-studded event. Surrounded by authentic and rare memorabilia, the event space can accommodate groups from 20 to 800. For larger receptions up to 1,075 consider adding Buca di Beppo, only one flight up.